That night, eight Corvettes were lost in battle. 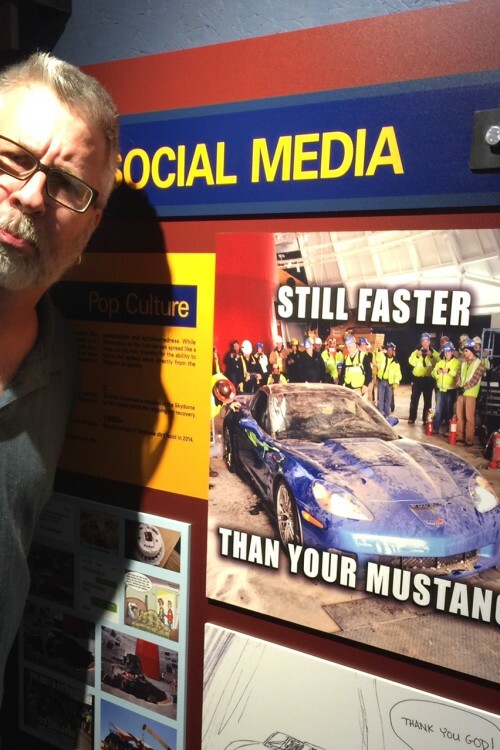 Some talented medics at the Corvette Museum were able to save three. Five were pronounced dead at the scene. Today, their remains are on display at the museum in Bowling Green, Kentucky. To see them, you must first pass through an incredibly well done new exhibit that shares the tale of that night and the fierce battle to resurrect as many of the Corvettes as possible. I happened to be passing by Bowling Green just a week after the exhibit opened in February 2016, exactly two years after the disaster. Hubby and I were on a road trip to the TravelingDad writers conference at Disney. Hubby is a car geek. When we met 24 years ago, he had a 1972 Corvette in thousands of pieces on the floor of his garage. Restoring that car took close to three years. So I was not surprised when, on an earlier road trip to Disney with two little kids he begged to stop at the Corvette Museum on our way by. Our return was different is so many ways. Since I am not a car geek, I agreed to that first visit mostly as a excuse to get out of the car and walk around for a few hours. The kids and I spent as much time outside in the sunshine as we did inside with him. This trip, however, I found plenty of reasons to stay indoors. The exhibit is dramatic, informative and sometimes even a little humorous. Hubby has since sold that 1972 Corvette to make way for his new passion, a 1967 Mustang Cobra Jet (the car driven by Steve McQueen in the movie “Bullit). So he didn’t get weepy at the site of the mangled cars like he might have on our first visit. And he took the Mustang jab of this tweet in good humor (although he does dispute the truth of it). 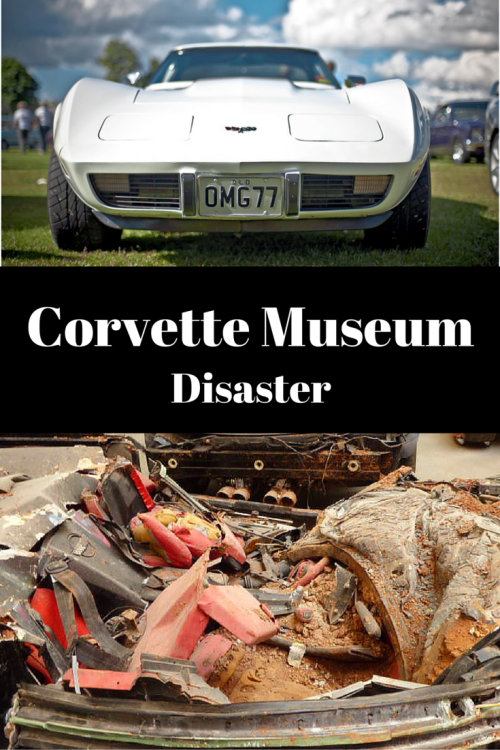 Ironically, the sinkhole that swallowed eight of its finest Corvettes has proved to be a boon to the museum built to honor America’s sports car. Attendance jumped from 150,000 per year before the disaster to 250,000 after the sinkhole put the museum in the news around the world. 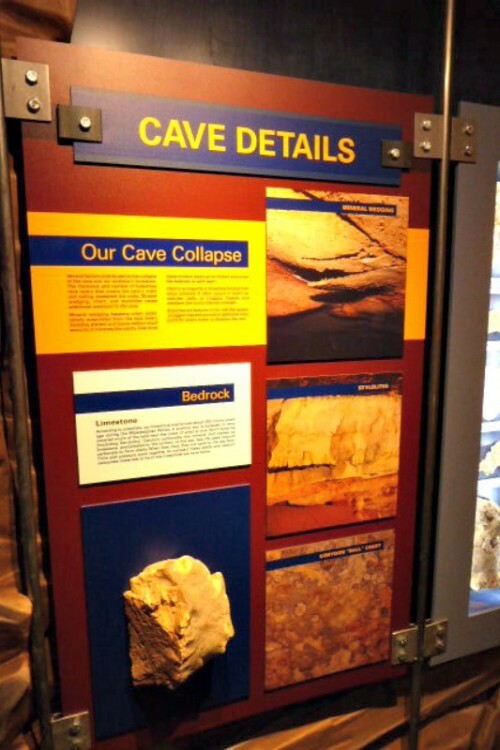 Knowing a marketing opportunity when it digs a 35 foot hole in front of them, museum officials immediately decided to capitalize on the disaster. 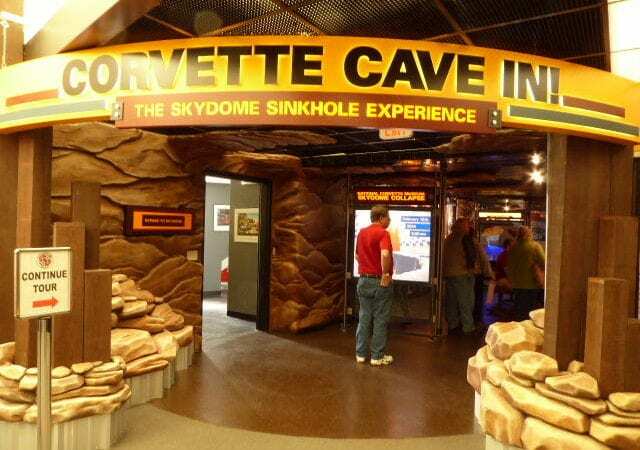 The “Corvette Cave-In” exhibit tells the dramatic story of the eight cars. 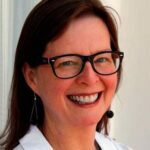 It includes enough geology, geography, science, and technology included to engage even those of us who see cars as mere transportation. The culmination of the exhibit is waiting in the Skydome. That’s where the priceless cars were on display before Mother Earth swallowed them. Today, they are back. 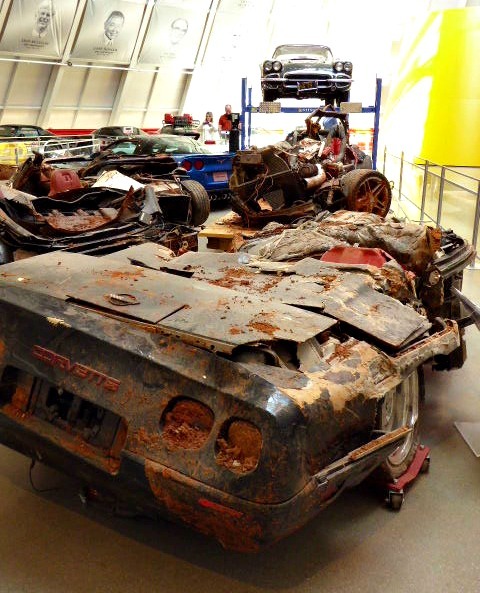 The three restored cars–the 1992 “1 Millionth” Corvette, the 2009 ZR1 “Blue Devil” and the 1962 Black Corvette —along with the mangled carcasses of the Five that Could Not Be Saved. Dramatic as that sight is, for me, it didn’t come close to the other feature of the Skydome: the outline of the sinkhole and where the collapse stopped. The line runs in a jagged circle around the display of damaged Corvettes. It edges right up to the other line of cars there—vintage and one-of-a-kind Corvettes on loan from their owners. I had to stop for a moment and contemplate that. Not only would it have swallowed hubby and I and the hundred or so strangers who also visited that day, it would have taken many more Corvettes. 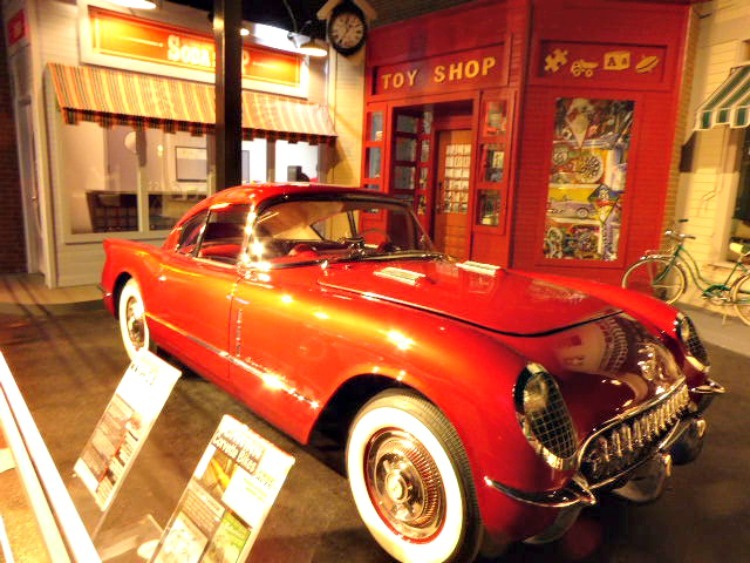 Have you been to the National Corvette Museum? What was your favorite part?